Were you like me and once upon a time used to be able to eat what everyone else does? If so, you might recall one of life’s simplest, sweetest, most divine treats – a simple glazed Krispy Kreme donut. Sure…a donut is a donut, right? Or…you might think that until you have to give them up. Trust me…no matter how healthy you are or how good you are trying to be…everyone appreciates a good donut every now and again. Problem: when you are gluten-free…a good donut isn’t always easy to come by. Even more difficult…finding one that is reminiscent of the ones you used to be able to savor. Now…I absolutely love donuts. And I’ve tried out quite a few different gluten-free ones. While the ones in stores are all fine and good…the only brand that has really made me sit up and remember what eating at Dunkin’ Donuts after swim class was really like…has been Katz Gluten Free. Yes, once again I am lifting upon high the fantastic products that Katz Gluten Free puts out on the market. Why? Because they truly are worthy of such high praise. I have yet to find something I have tried that I haven’t liked. A couple weeks ago, I received an e-mail regarding new products from Katz Gluten Free. One of the items listed was…glazed donuts. So, upon returning to my desk at the office, I went ahead and ordered some…because they looked absolutely scrumptious in the announcement. They arrived two days later and I skipped to the freezer at the office to store them, brought them home and put them in my freezer, then…could hardly wait a week before I was pulling them out to use as breakfast after hitting up the gym. Yes…hard workout at the gym = gluten-free donut (with some fruit…give me some credit!) for breakfast at the office. Anyway…I got to the office and went into the kitchen with the donuts. I pulled out a plate and set one in the microwave, giving it a very quick nuke for 10 seconds. With it and some freshly chopped pear from my CSA bin, I took the first one to my roommate at her desk. Then, I returned to the kitchen to repeat the process for me. As I settled in at my desk, I started on the pear. 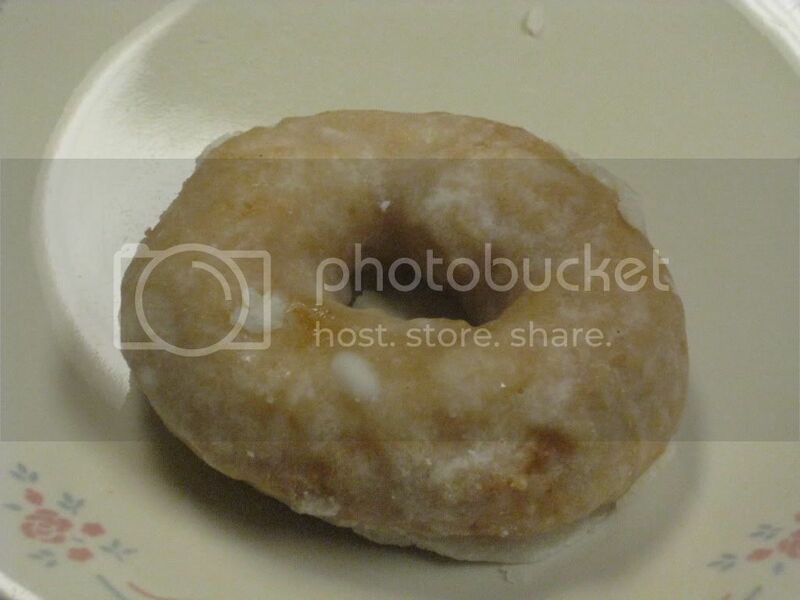 My roommate came over to show me something and I asked her how the donut was. She lifted her eyebrows, looked at my untouched one, and simply said…”Take a bite.” Who am I to argue when a gluten-free glazed donut is sitting right there waiting for me to devour it. I lifted it up, drawing in that amazing scent of sugar from the glaze. It smelled like all those donut shops and bakeries that seem to torture me now. I savored that aroma for one moment more…then took my first bite. WOW! No…honestly…WOW!! While these are definitely not as light and fluffy as the famous Krispy Kreme donuts…these are just as delicious. And I don’t mind the extra definition to the donut. I like that it has a little heft to it. Honestly…these were melt-in-your-mouth-Krispy-Kremeish-fantasticness. Yes…that really is an adjective. Trust me. I couldn’t believe how much I fell in love with this donut. It was like, the moment I had a bite…I had to have another one. Every donut I ever ate before my diagnosis seemed to pale in comparison. This…was one fantastic glazed donut. And for the first time ever, I lost myself in the taste and texture of this little treat. 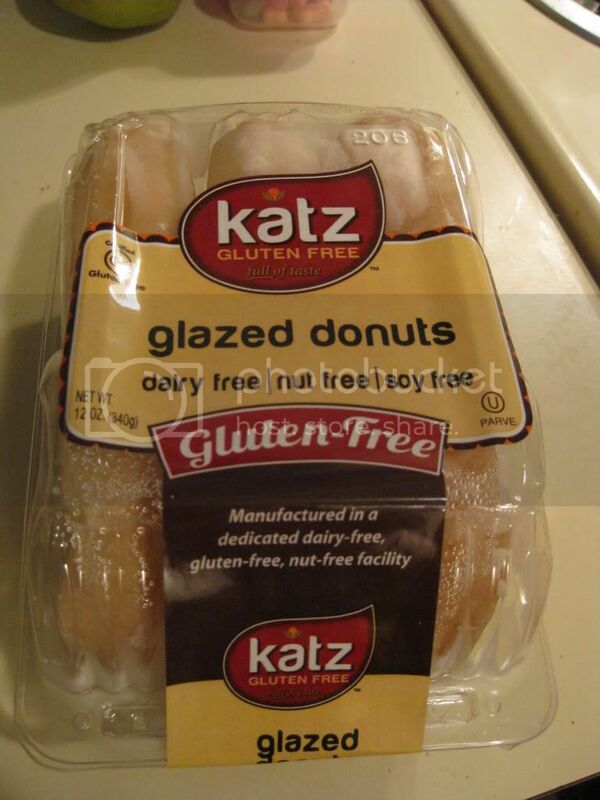 I don’t even care that the office has Krispy Kreme’s and other donuts on occasion now…because I have Katz Gluten-Free Glazed Donuts. They…are even better, in my opinion. Dear Katz…if you keep expanding your donut line…I might just love you even more. Especially if they keep getting better and better…like these. This entry was posted in Breakfast, Donuts, Food, Frozen, Gluten-Free, Products, Review, Sweet Stuff, Vegetarian by The Celiathlete. Bookmark the permalink. I bought these and they weren’t good at all. Dry and heavy. That’s too bad. Mine were delicious. I always warm mine up in the microwave. They don’t seem dry when I do that…and they are like being fresh out of the oven. I also warmed mine, maybe since Celiac is more common, someone will come out with donuts that are better. At least I can hope. It’s a shame you don’t live close or I would gladly given you the two orders we threw out. Have a blessed day.